There are three SERP features that significantly influence a website’s organic visibility and traffic. 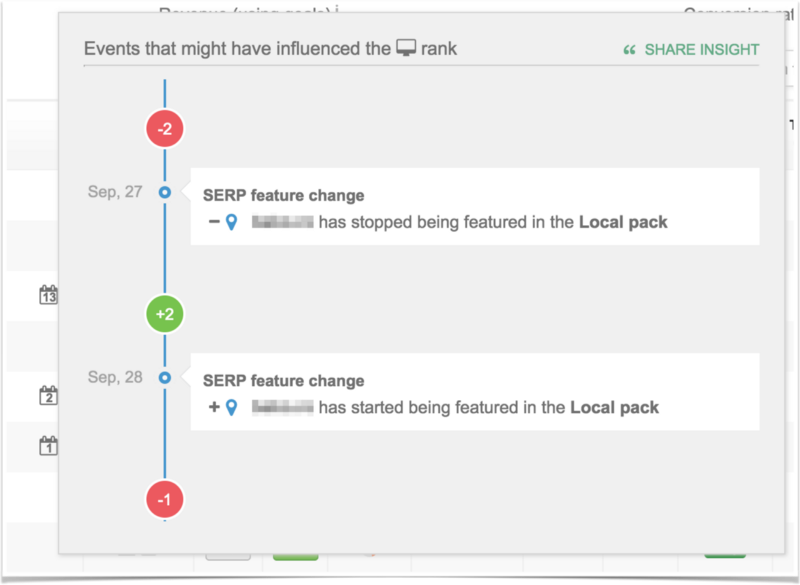 It’s time to track and effectively measure your website’s performance in the local and news packs, along with the featured snippet. As you’re already familiar with our global metric — the Visibility Score — these metrics work the same way. 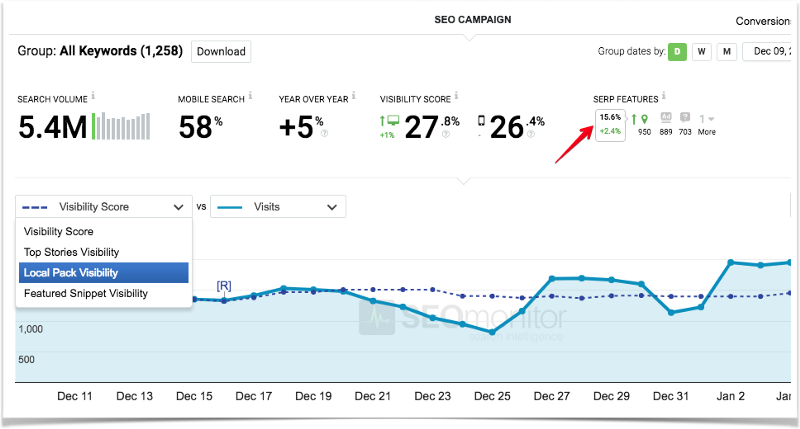 In the SEO Campaign dashboard, we’ve started displaying the Visibility for the SERP feature most relevant to your website, right next to the overall desktop & mobile Visibility Scores. You’ll also be able to analyze it on the chart, along with a traffic metric. For the keywords with featured snippet, we also track the presence in it on a daily basis for both devices, in a dedicated chart. Our goal regarding the SERP features has never been to just have them listed for each tracked keyword. We’re here on a mission to transform all of the available data into relevant and meaningful insights. This update is an important step forward in measuring the SERP features. But there’s still a lot more to do in order to really understand the impact of the SERP features in the organic performance of a website.